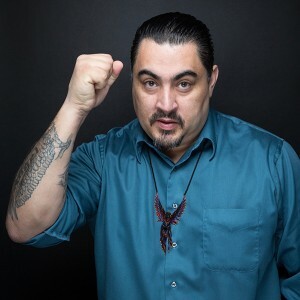 César A. Cruz has dedicated his life to fighting for justice – from marching 76-straight miles, to hunger striking for 26 days. He was born in Guadalajara, Jalisco, México and migrated to the U.S. at a young age with a single mother and grandmother. He grew up in South Central L.A. and moved to the Bay Area to study. César graduated from UC Berkeley with a B.A. in History. For the last 20 years, he has been an educator, most recently serving as Dean of Students at Arise High School in Oakland, CA. He co-founded the independent school, “Making Changes,” out of his home, and has sought to create autonomous education spaces. For the last four years, he has overseen the Homies Empowerment Program serving trauma impacted/gang involved youth in Oakland, CA. He is the author of two books, “Revenge of The Illegal Alien,” and “Bang for Freedom.” Currently he just completed the second year of a doctoral program in Educational Leadership at the Harvard Graduate School of Education. Last summer he served as the Assistant Dean of Harvard University’s Secondary Schools Program. During the 3rd year, César has joined the staff of Homeboy Industries and will conduct a 10-month residency at Homeboy Industries in Los Angeles, CA. At Harvard, he is part of a great teaching team that has officially brought Ethnic Studies course to HGSE. Amidst all, he is proudest to be a husband, and father of three children: Olin, Amaru and Quetzali.